Jay Johnson, over at BioLogos (though he posts here too) pointed me to the work of Ludwig Wittgenstein in relation to science and its limits, a subject opened up by Joshua Swamidass’s airing of the issue over the last month or two. 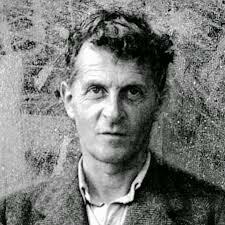 I’ve not read Wittgenstein, except in quotations regarding his dense analytical work on language, and suspect I would mostly find myself out of my analytic depth if I did. But his thinking on scientism, apparently a core concern of his, fits into a stream of ideas I’ve followed over the last couple of years via the work of Arthur Eddington, Michael Polanyi and others. Jay points to a summary article here, which I commend. Jay’s remark arose in the context of an exchange I had with the pseudonymic Benjamin Kirk, in which I had tried, as subtly as I could, to point out that Evolutionary Creation ought to have an agenda that is much wider than science, in a way that Intelligent Design does not pretend to be (or pretends not to be, according to your position on it). Predictably, in response I got a critique of my argument in the form of reducing it to a “testable hypothesis” by ignoring most of it and purporting to refute it (by saying it was false – if that’s what “falsification” means in science!). There are many questions to which we do not have scientific answers, not because they are deep, impenetrable mysteries, but simply because they are not scientific questions. These include questions about love, art, history, culture, music – all questions, in fact, that relate to the attempt to understand ourselves better. But there are countless questions about even the material realm which are beyond methodological naturalism too. In the column containing my BioLogos exchange with Jay, I mention the questions of formal and final causation, excluded by science (which methodologically restricts causation to material efficient causes). To the Christian (and one thinks specifically of the self-identified proponent of Evolutionary Creation) these are of fundamental importance. To use a human analogy, when we think of Michaelangelo’s David we think first of its aesthetic effect, and then of the thought and meaning that the artist intended. We recognise the supreme artistic and technical skill involved, but one of the last things in most viewer’s minds is the exact design of the tools he used, the order in which he brought David out of the marble, whether he used assistants or even (as far as most of us are concerned) the exact quarry from which the stone came (which was apparently ascertained scientifically when vandalism made a sample available for analysis – perhaps an apt example of science picking up only the dog-ends of the matter in hand). So too the physical world has purposes and meanings, which as Bacon realised are far too complex and particular for science to consider, but which are nonetheless real. Solomon, writing by the Holy Spirit, made the ant our standard for industry – the mediaeval bestiaries made an industry of the allegorical meanings of beasts. And though that was not scientific, was it not a legitimate use of the world? Robert Bruce legendarily persisted in his apparently hopeless campaign because of the tenacity of a spider in weaving its broken web. Jesus is truly represented as the Lamb of God. And every day we learn the simplicity of unconditional friendship from our dogs. But the matter is far more physical than just metaphor. The Scripture, as I detail here, has no concept of nature as an autonomous realm apart from God, in which he may interfere or not, but rather as the instrument by which he sovereignly governs the world. It’s not a question of whether God meddles in nature – rather that nature is what he habitually does. Whatever mode of divine action one proposes (and there are many biblical indicators for some form of concurrence, rather than occasionalism, and virtually none at all for mere conservationism), the biblical picture of the natural world is of an instrument in God’s hands. Now, broadly there are three manners in which God is described as acting in the physical realm. The first is regularly and reproducibly – the area which we describe nowadays in terms of natural law (though Aristotle or Aquinas would have used the category of “natures”). But in the other two he acts contingently, either by miracle, or by the continual providential guidance of non-lawlike events which, colloquially or scientifically, we refer to as “chance”. Modern science differed from Greek natural philosophy largely in this matter of contingency. To a Greek like Pythagoras, the world operates on necessary rational principles, except that in its imperfection it falls short of them. You would therefore find out more by rational consideration of those principles in your armchair than by wasting time examining the imperfections of the present realm empirically. Christian natural philosophers, on the other hand, needed to account for two theological principles: God’s faithfulness, and his freedom. Reason could discern and begin to comprehend “God’s laws”. But observation was necessary to discover God’s choices. But although this latter led to fruitful results like the Linnaean taxonomy (and many other examples of early science’s passion for listing and classification), a little consideration will show that recording contingencies is a fundamentally different process from discerning laws, as I discussed here. What this really means, from a theistic viewpoint like Maxwell’s, is that whilst scientists can explore the statistical patterns of God’s individual actions, science actually has nothing to say about chance events, as such, at all, except to profess ignorance and dump them in a non-scientific category called “random” or “stochastic”. It’s the equivalent, really, of a scientist’s ability to recognise that some voluntary human action has disturbed the result of his experiment, and to have to discount the experiment as “error” with neither the ability nor the interest to explain it fully – what does science care if the cleaner unplugged the instrument to polish the floor? So science, as far as theory goes, is exclusively the study of the repeatable – which is an elementary truism. Historically, the recording of bare facts was as important because God’s contingent acts were as important as his laws, but we seem now to be in an age where data without the discernment of a lawlike-pattern behind it is of little interest. That, of course, is the main rationale for discounting evidence that does not fit a current theory as “anomalous” – it is not worthy of note in its own right, but only in relation to law. Science, then, is properly the study of God’s regularities (after the manner of Tom Gilson’s “methodological regularism”), and very worthwhile it is in that regard too, both in terms of intellectual and theological wonder, and practical application. But that leaves, absolutely within nature but outside science, all aspects of contingency, from human choice to what the atheist will call “chance”, but the Christian scientist, like Maxwell, ought to consider as “divine choice”. But science cannot speak to the principles or particularities behind either category. To say “X happens by chance” is simply to say “X lies beyond science [in God’s providence].” And that’s before we get to all the non-material aspects of creation, including angels, supernatural “powers and principalities”, and minds. Science isn’t the only discipline with limits, though. Philosophy and theology also run into limits, as when trying to define and explain God’s actions, foreknowledge, sovereignty, etc. The only available data, in my judgment, must come from God’s self-revelation, which we find in the Bible. The farther away from the Biblical data that the explanations wander — i.e., the more they rely on logic and/or speculation — the less confidence we should place in the conclusions. Somewhere in the composition process, I had the idea of pointing out that theology is only a small part of religion as science is a small part of knowledge of the natural world. I thought it might confuse my readers even more, but it’s still a valid point to make. The farther away from the Biblical data that the explanations wander — i.e., the more they rely on logic and/or speculation — the less confidence we should place in the conclusions. One of the things I admire about Calvin (as I’ve said here in the past) is his refusal to go “beyond what is written” to solve the problems Scripture raises. I’m sure he transgresses his own dictum sometimes, but at least he recognises it. Whether these thoughts have a chance of gaining some traction in the modern world of ideas, we shall see. We shall indeed. but it is possible to swim against the tide, though the best sign that one is doing so is a constant feeling that one is drowning! The truth is the objective and so how could these people know the truth before we establish rules for truth finding?? Seeing laws in nature is only seeing those laws. its not seeing the LAW that there are only these laws. Whether so or not! human incompetence/lack of insight is so much in evidence that finale conclusions in anything sciency is suspect. Evolutionism being the great error.